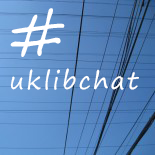 This month’s #uklibchat was on the topic of ‘Fake news: the role of libraries and staff in supporting information literacy’. It was great to welcome several first-timers to the chat, and we had a great discussion. This entry was posted on June 8, 2017 by Annie in Discussion Summaries and tagged fake news, information literacy, teaching.